Dow 20,000! What Could Go Wrong?!! 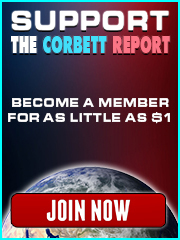 http://www.corbettreport.com/mp3/2017-01-25%20James%20Corbett.mp3 Today James joins Lionel of Lionel Nation to discuss the big issues the world are facing right now, from global conflict and chaos to the central banking fraud and its cashless biometric future. Today James talks to Nomi Prins, author of books like All The Presidents Bankers, about her recent article “The Central Bank Power Shift from West to East, Game of Thrones Style.” We talk about the changing economic and monetary landscape and how the locus of central bank power is shifting to the East, with players like the People’s Bank of China gaining in prominence and former US/EU lapdogs like the IMF becoming brokers for these new power players in the new world financial order. 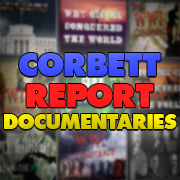 http://www.corbettreport.com/mp3/2016-11-22%20Nomi%20Prins.mp3 Today James talks to Nomi Prins, author of books like All The Presidents Bankers, about her recent article “The Central Bank Power Shift from West to East, Game of Thrones Style.” We talk about the changing economic and monetary landscape and how the locus of central bank power is shifting to the East, with players like the People’s Bank of China gaining in prominence and former US/EU lapdogs like the IMF becoming brokers for these new power players in the new world financial order.